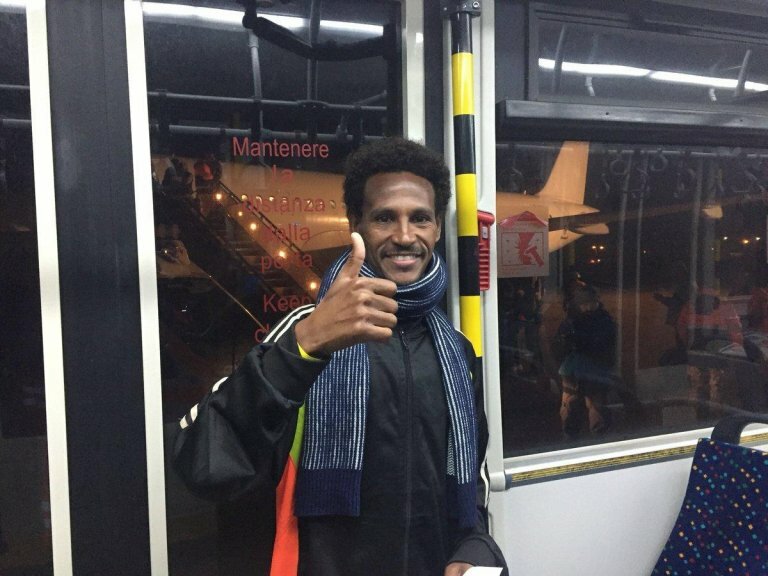 Amanuel, a deaf and mute artist from Eritrea, is among 150 refugees evacuated from Libya by UNHCR. UNHCR has called Amanual, a deaf and mute refugee who fled from Eritrea to Libya over a year ago with his cousin Aounif, ''a naturally talented artist''. The man told the UN agency that he had suffered persecution in his country of origin and that he had hoped to reach Europe to find safety. However, when the two tried to cross the Mediterranean, their boat was intercepted and for three months the two cousins were locked in a Libyan detention center. The two cousins are among the 150 refugees evacuated by UNHCR on February 14 with a flight to Rome. The previous day, a plane with 128 refugees had landed in Niamey, Niger. With his arrival in Europe, Amanuel now hopes to be able to treat his hearing problems, to be able to hear and to continue to cultivate his art. Among the 150 refugees who landed in Rome were also women and children who had been in detention facilities for lengthy periods. A total of 312 refugees have been evacuated to Italy thus far. ''We are very happy. We just can't believe that this is actually happening to us, especially since we had previously tried to reach Italy by sea,'' Aounif said, speaking on behalf of them both. Since November, UNHCR has evacuated over 1,000 highly vulnerable refugees from Libya in the hope that they will be able to be resettled in other countries. With the cooperation of UNHCR and Niger government support, the 128 refugees that were transferred to Niger on February 13 are now staying in Niamey reception centers. So far some 770 refugees have been evacuated to Niger, including single mothers, families and unaccompanied children.